LONDON, UK, 2018-Apr-23 — /Travel PR News/ — British Airways’ direct flight from Gatwick to Toronto will launch next week, with the service beginning on May 1. The new flight, which will operate three times a week, will be British Airways’ first flight to Canada from Gatwick. It is estimated that around 724,000 British nationals visit Canada each year. * The flight timings are perfect for those looking to explore the city and maximise their time in Canada. The outbound BA2271 flight will depart at 11.35am from Gatwick, arriving in to Toronto at 2.25pm, giving customers time to explore the city or attend business meetings. The return flight operates overnight, leaving travellers with a full day before heading for the airport. It departs Toronto at 7.50pm and landing in to Gatwick at 7.55am the next day. Customer travelling on the route will have the chance to experience the latest inflight products and cabins. Last month British Airways rolled out its first fully refreshed Boeing 777 aircraft with brand-new World Traveller Plus (premium economy) and World Traveller (economy) seats in new cabins – which will operate exclusively on long-haul routes out of Gatwick. The majority of the fleet is due to be refreshed by the end of winter 2018 with the remaining aircraft completed by summer 2019. As the number of aircraft with the new cabins increases, the number of times these aircraft operate on the Toronto route will also rise. The new aircraft feature an in-flight Panasonic entertainment system which has been updated with larger HD screens. The screen size will double from six to 12 inches in World Traveller Plus, and increase from six to 10 inches in World Traveller. New USB sockets are available at every single seat and World Traveller Plus seats also have an additional power outlet socket for UK, US and EU plugs. In response to customer demand the size of the World Traveller Plus cabin in the three-class 777s will more than double. Alongside the new World Traveller and World Traveller Plus cabins, Club World (business class) has been given a complete refresh. The addition of the Toronto route follows the introduction of the Gatwick to Las Vegas flight on March 27, which operates with the same thrice-weekly frequency. At Gatwick, British Airways has increased the number of routes it serves by more than 50 per cent. In 2012 British Airways flew to 48 different destinations, whereas now the airline serves 74. British Airways Holidays offers three nights at the 3* Novotel Toronto Mississauga Cntr, from £529 per person, travelling selected departure dates October 2 – 22. This includes World Traveller return flights from London Gatwick and accommodation. 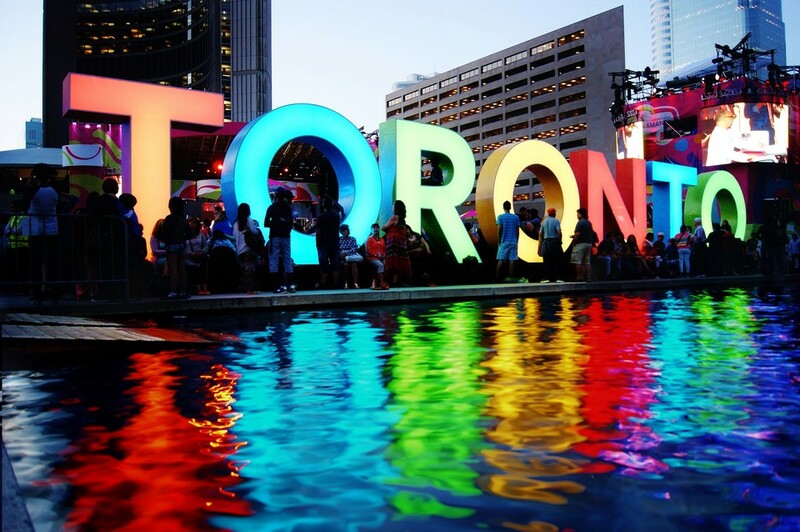 British Airways Holidays also offers three nights at the 5* The Westin Prince, Toronto, from £599 per person, travelling on selected departure dates between October 2 – 22. This also includes World Traveller return flights from London Gatwick and accommodation. To access both of these deals customers must book by May 6. For reservations visit ba.com/toronto or call 0344 493 0122. · The World Traveller Plus cabin in the fleet’s three class 777s will be doubled from 24 to 52 seats, while the Club World cabin will be reduced from 40 to 32 seats. · The World Traveller cabin in the fleet’s four class 777s will see an additional 12 seats added. · Heathrow’s Boeing 777 fleet will be fitted with the new World Traveller seat from autumn 2019. This entry was posted in Airlines, Airports, Flights, Travel, Travel Services, Travelers and tagged British Airways, Gatwick, Sean Doyle, The World Traveller cabin, Toronto, World Traveller Plus CABIN. Bookmark the permalink.